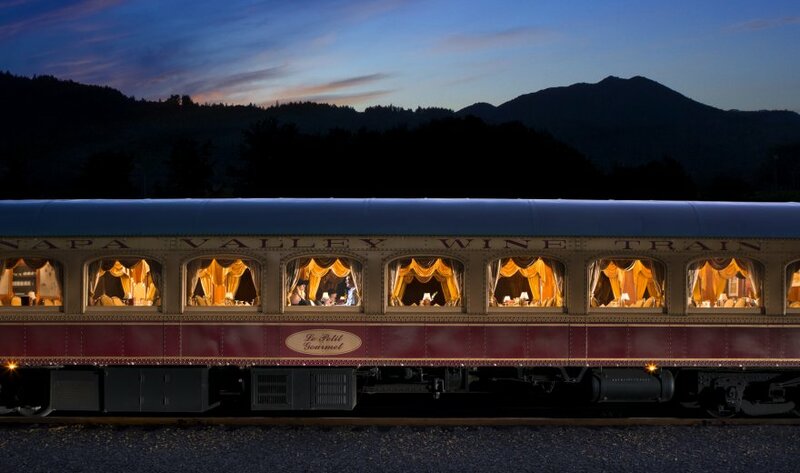 Give your mom a gift that is as elegant and lovely as she is – a day on board the Napa Valley Wine Train. She held your hand when you were young. And cleaned your face and clothes. When you got big and knew it all, who put you back in line? She knows you in a way that no one else does. It’s a wonderful day for celebrating Mothers with a special Napa Valley Wine Train meal. A journey through the fresh vineyards, a delicious meal, no cooking, no cleaning. Choose from our Gourmet Express or Vista Dome dining journeys, or our Raymond, Grgich Hills, Ambassador, or Castle Winery Trips.